The 2016 ACA conference in Denver was refreshing, to say the least. It was apparent from the moment I arrived that this was going to be a different conference. Not only was it an educational event full of enthusiasm, but the week also coincided with Comic-Con and Denver gay pride week. The city was lively with activities and fun events, creating many memorable moments. 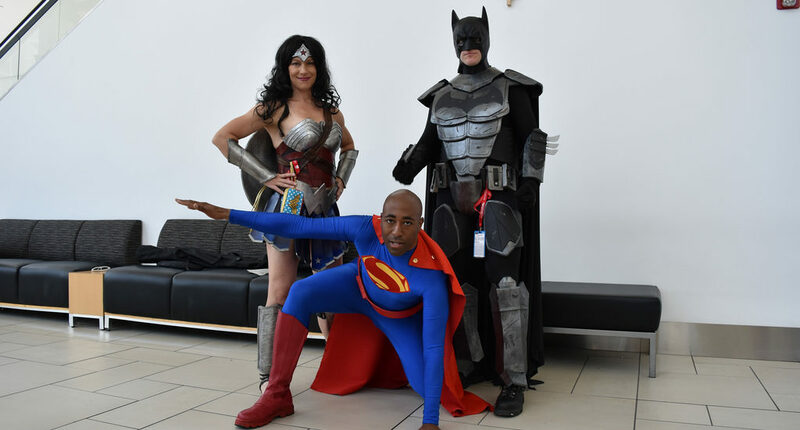 Even though the Costumes from Comic Con were very distracting, (not to mention FUN), my biggest takeaway from the ACA conference, is that the industry is alive again. Over the last few years, with all of the compliance issues and a decline in placements, the industry has experienced a theme of doom and gloom. This year, Denver’s conference reflected an optimism and upbeat attitude towards the future. Companies were anxious to find solutions that would stimulate growth and a bright future for industry leaders. Compliance, which was the main topic over the last few years at ACA, DBA, and NARCA, was a secondary topic, rather than the primary focus. It seems the industry has gotten used to dealing with the compliance issues of today’s collection environment and are now looking for ways to perform business at a higher level that still produce acceptable profit margins. The decision-makers I met with were looking for technological and operational improvements for their collection agencies or law firms, rather than just moaning and complaining about the increase in regulation. It appears the mourning period is over, and now we are ready to morph into a new life. Companies are focused on opportunities for automation, process flow improvements, more profitable vendors, and advances in technology opportunities that can improve their bottom line. Vendors like Vo Apps have been around for many years and are now getting traction as the industry is ready to try something new. There was a lot of buzz at the conference regarding the merger of Columbia Ultimate and Ontario Systems. The two vendors set up booths next to each other and took advantage of all the questions and interest regarding the recent merger acquisition. I expect it to take a year or before we will fully understand the direction of the new company. There was a smaller number of vendors in the exhibit hall, but that has been a trend at each of the conferences in the last three years. Several new vendors to the industry were represented, and a few from the old guard were noticeably missing. Based on the vendor selection custom programming, contact management, data append, and software development made up the bulk of the service providers. Overall, I believe the industry has turned the corner and is looking forward instead of backwards or just looking down at their feet. Even though the industry is very challenged by compliance and a lack of placements, it appears that providers who are forward thinking will lead the industry for many years to come. To learn more about my thoughts or recommendations going forward, or if you just want Comic-Con photos, please give me a call at 904-687-1687 X 111.